This piece was inspired by a slow drive through Glenwood Canyon. The many layers of the rocks and colors were a beautiful sight. 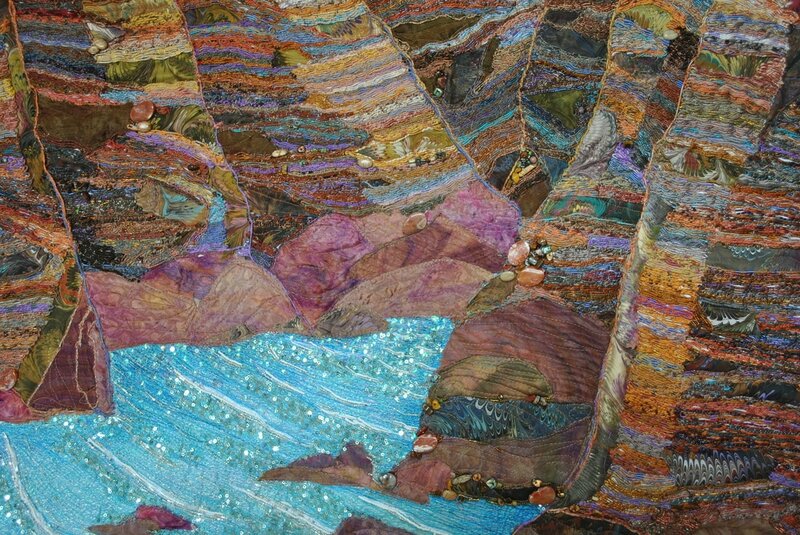 The piece is constructed of hundreds of hand wrapped and coiled threads of silk, cotton, rayon, and metallic. The sky is hand painted dyed cotton. 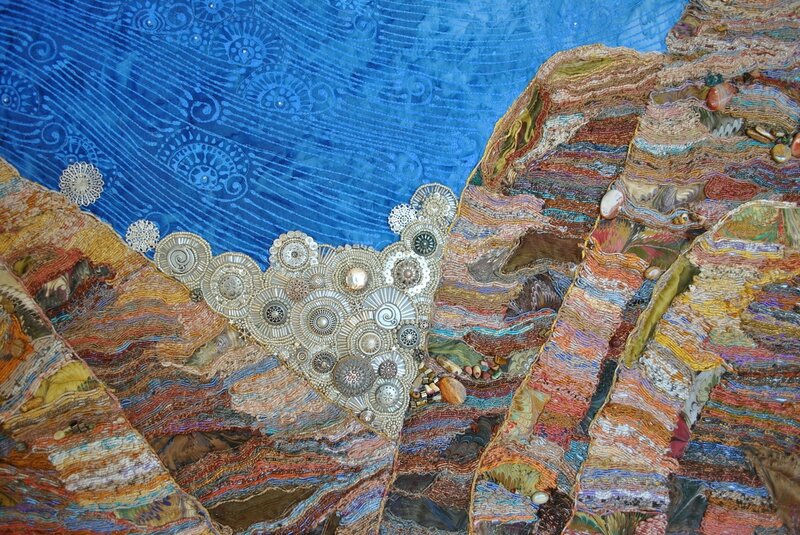 The piece is embellished with hand dyed silk marbled fabric, rocks, beads, carved bone, and crystals. It is hand beaded and embellished.